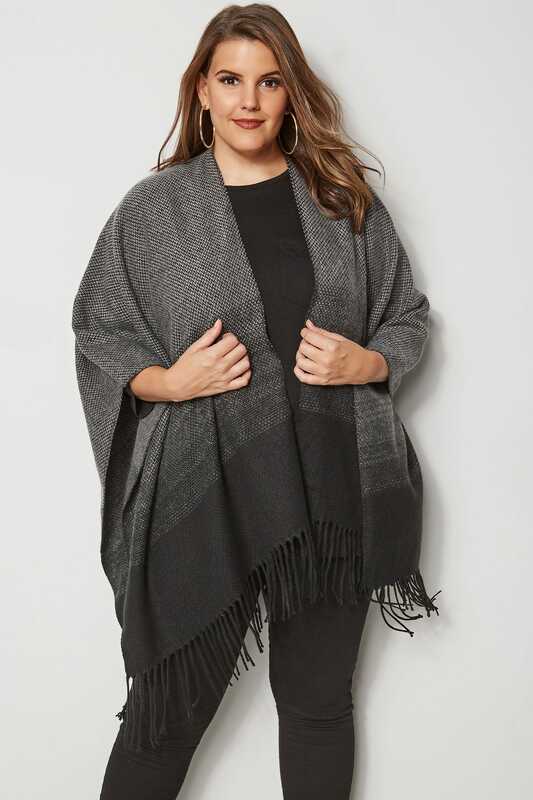 Wrap up this season with this super soft knitted wrap. 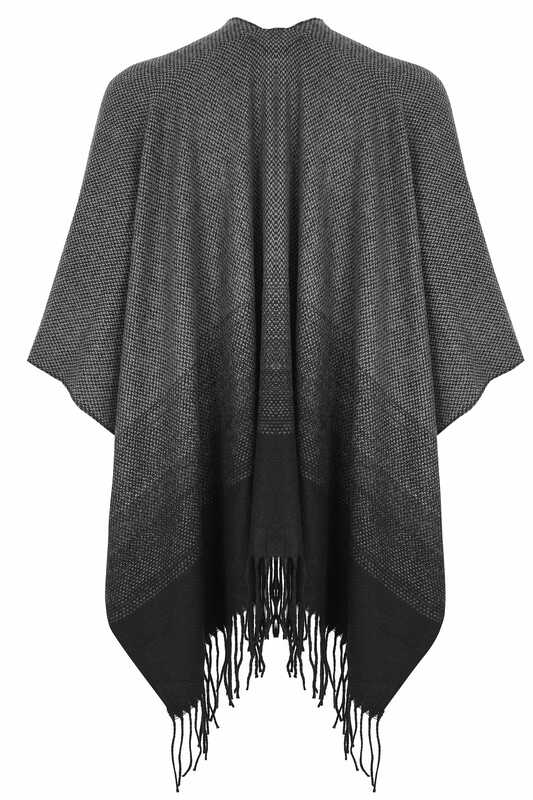 In a flattering asymmetric shape, it features tassels and a trendy ombre print to keep you stylish this season. For a chic daytime look, wear with knee high boots and your favourite pair of skinny jeans. 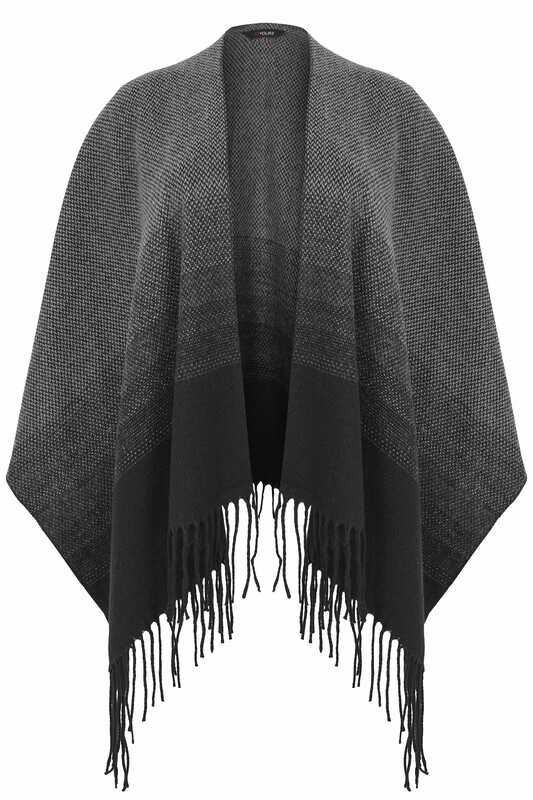 Wraps are the ultimate throw-on garment. They are super snug and easy-to-style!